Home / FEATURED / Major Crimes: The Complete Fourth Season – TNT’s hit crime drama is set for release on DVD May 24! 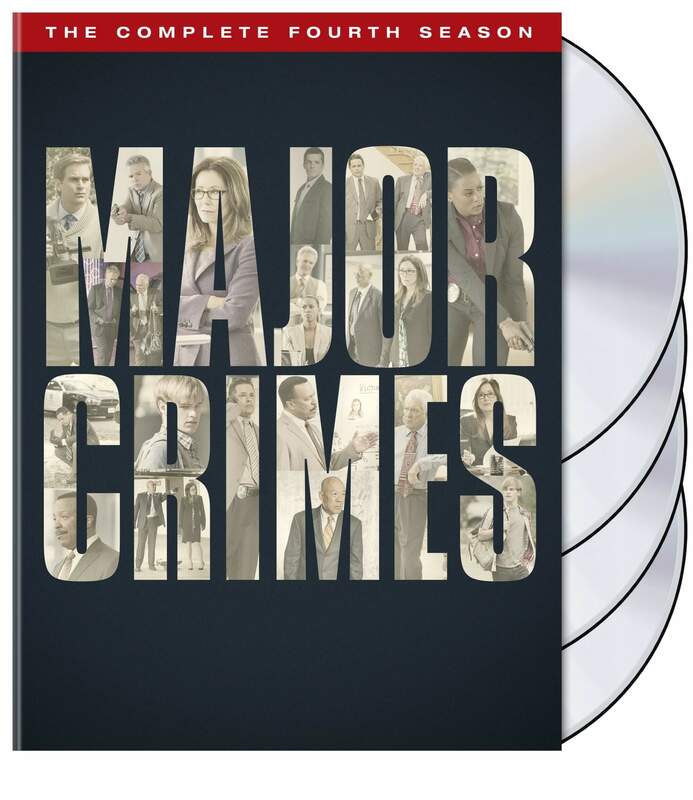 Major Crimes: The Complete Fourth Season – TNT’s hit crime drama is set for release on DVD May 24! During the fourth gripping season of Major Crimes, our favorite squad of detectives is put in charge of solving a series of intriguing new cases. The unit investigates a double homicide that’s related to an ongoing string of home invasions in the Hollywood Hills; a dead body that comes out of the trunk of a crashed car at the end of a police chase; the murder of a super model; a YouTube video of a bloody, partially naked man walking down a street which goes viral; the deaths of four wealthy people who are killed during a high-stakes poker game; a murder that happens during the taping of a reality competition show; the death of a young man who was pushed off the top of a parking structure and several other fascinating cases. As season four unfolds, Captain Sharon Raydor’s adopted son, Rusty Beck (Graham Patrick Martin, The Closer,Two and a Half Men), finds a passion that drives him, investigative journalism, as he works to uncover the identity of a murdered runaway. It’s an exciting season filled with captivating cases and engaging stories about the lives of the officers and prosecutors whose job is to deal with LA’s most high profile and sensitive crimes. *Source: Nielsen Galaxy Explorer L+7 US AA%; excluding repeats, sports, news, kids, specials & <5 TCs; Season to Date = 06/01/15-11/15/15.